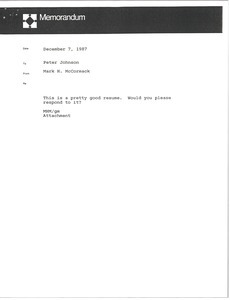 McCormack wants Johnson's opinion of Timothy O'Brien, who is interested in working for IMG. 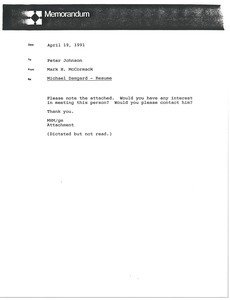 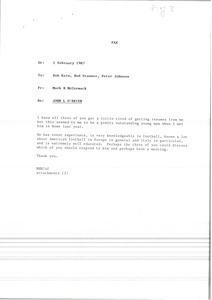 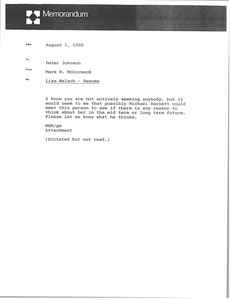 McCormack asks Johnson to respond to the attached letter from Christopher Haenn. 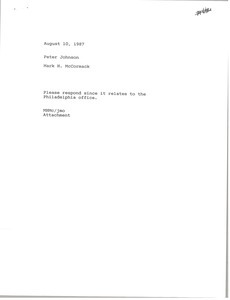 Haenn sends his résumé and a newspaper clipping from the Philadelphia Inquirer. 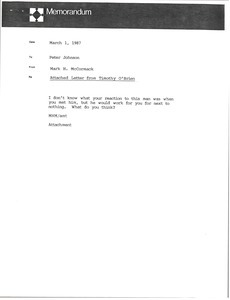 Instructing Johnson to interview Mitchell S. Halpern, even if it is to just find out more about Bob Woolf's operation. 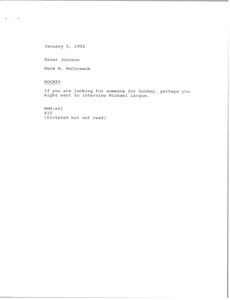 McCormack suggests interviewing Michael Largue for hockey. 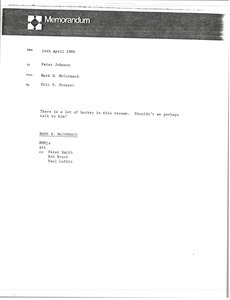 Forwarding the resume of David Andrew Slutsker. 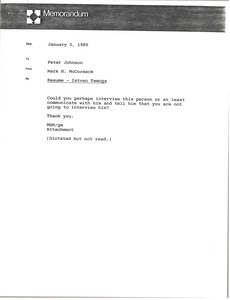 Forwarding the resume of Istvan Tamoga, who McCormack does not want to intervierw. 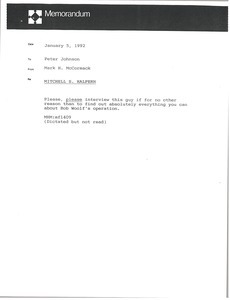 Forwarding the resume of Michael Damgard and wondering if Johnson is interested in meeting with him.